Real estate investing will help you reach your financial goals, but it takes time and an upfront financial commitment to enter the market. In addition, the lag between the initial investment and its profitability depend on a host of variables. However, it’s one of the few ways to meet your future financial goals while earning a passive income and enjoying the tax benefits of home ownership. Make the equity you have in your home work for you. You might have paid down the mortgage or your home has appreciated sufficiently to cash some out. To see what it might be worth in today’s market, you can check homes that are listed for sale online in your neighborhood. Look for properties that are similar in size and have some of the same features. A licensed appraiser can give you an exact idea of your home’s value, although there is a fee for this. Your lender may also require a current appraisal as part of the line of credit application. Interest rates on home equity loans are normally low, making such a loan a viable way to get into the market. You can borrow money from your 401k to buy a primary or a second home. In some markets, buying property could be a better use of your money than this retirement savings account. 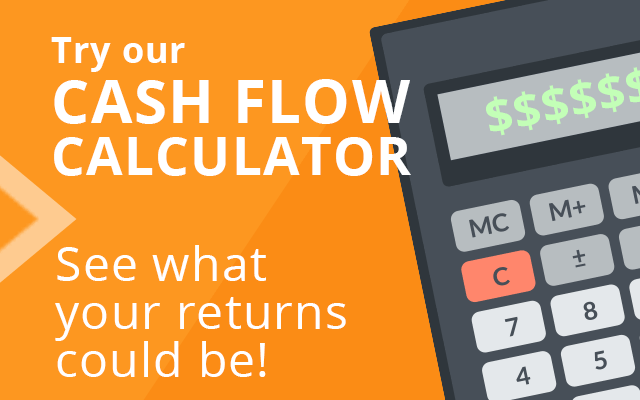 Paying off a school loan, a credit card, or getting a raise may give you extra income you can use to invest in something that will pay out financial returns in the future. It’s so tempting to use that money to loosen your discretionary spending budget, but if those extra “things” won’t enhance your life in the longer term, it might be put to work in something that will. No investment is without risk. Putting your money into investments instead of the bank carries more financial risk because there are fewer safety nets for private ventures than with FDIC-insured institutions. But, greater rewards often correlate with higher risk. If you understand this and feel comfortable with assuming a bit more risk, you’re a great candidate to become an investor. After the financial collapse of the mortgage industry, banks tightened their lending requirements and now require 20 percent down for investment home mortgages. Unlike past lending policies, borrowers can now use gifts from others, partnership funds and personal loans for the down payment. If you’re comfortable investing with others, it’s possible to collaborate on buying an investment property. You’ll want to be certain you do the homework such partnerships require to protect everyone involved. 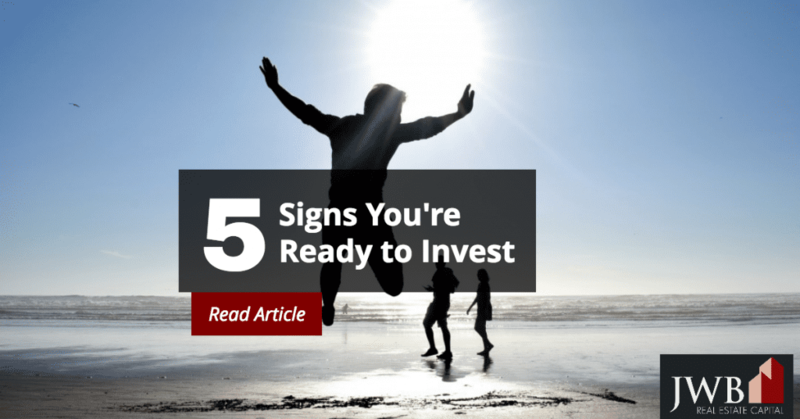 If you can find the financing in one of the ways above and are in a place in your life that you’d like to start focusing on building wealth, you’re probably ready to jump in as an investor. One of the best ways to enjoy your money in the present and grow it for the future is to invest in real estate. When you own a second home or rental property, you can deduct all the expenses associated with it, including the payment, real estate taxes and insurance. The income you receive from rent isn’t subject to FICA taxation, whose rate is currently 15.3 percent for the self-employed. If you need to travel to visit the property, other expenses are also deductible like transportation, lodging, and a portion of the meals. When you sell the property, you can either reinvest the gains or take advantage of the home sale exclusion, which shelters it from capital gains taxes. Some people even buy homes in places where they want to retire and hold them as rentals until they’re ready to move. These homes generate monthly income and build value. Putting them in the care of professional property management company makes the income truly passive. 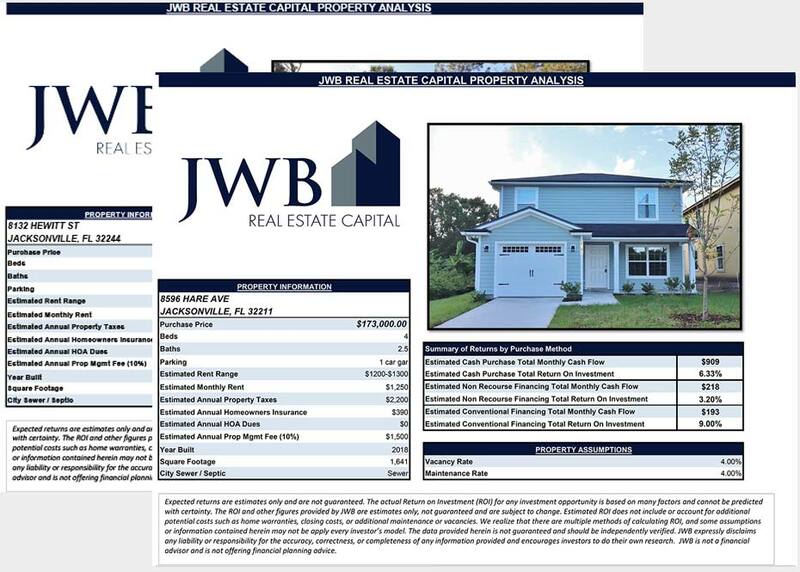 JWB has helped over 400 investors for over 10 years earn passive income and above average returns on their turnkey rental property investments. Learn more about how JWB can help you!